The new opi collection is here! 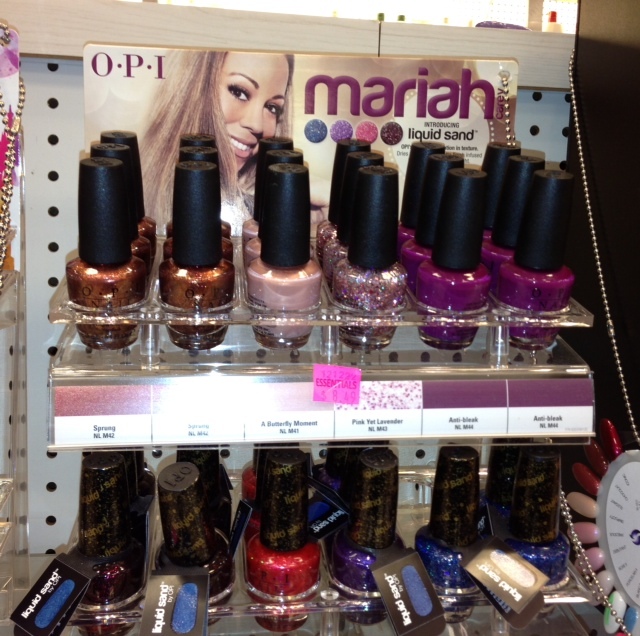 The new Mariah Carey Liquid Sands collection is currently out from Opi. The collection consists of 8 new colors. Four colors are regular colors and the other four are gritty glitter colors.The regular colors consist of “A Butterfly Moment”, “Anti Bleak” “Pink Yet Lavender”, and “Sprung”. The glitter colors are “Cant Let Go”, “Stay the Night”, “Get your Number” “Stay the Night”, but because the glitter consists of a matte like texture these particular shades will be difficult to remove. Furthermore, these glitter nail polishes are not the typical glossy glitters, but rather have a rough matte finish. If you want to achieve a glossy look on the glitter polishes, apply a top coat.